This post describes the steps necessary to log messages from BizTalk to Integration Manager. 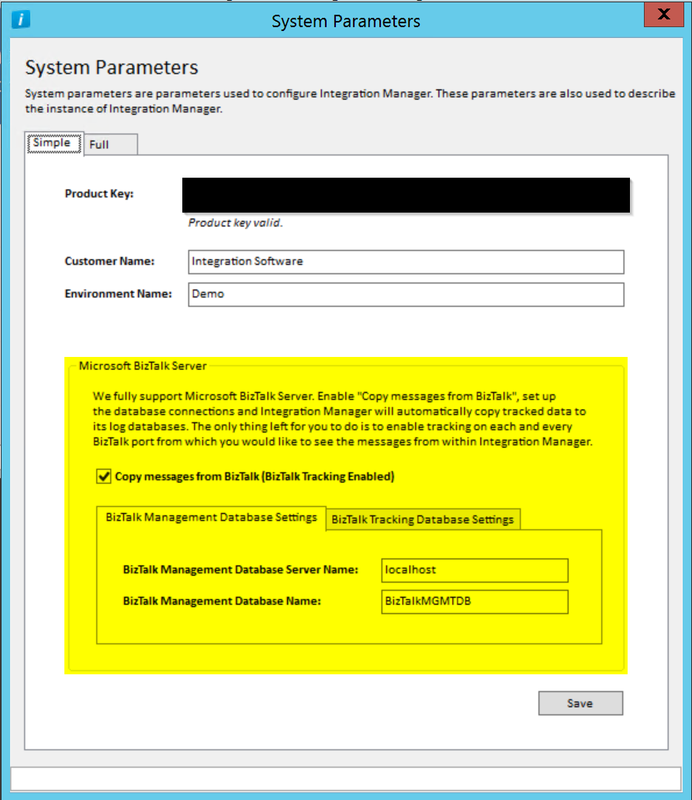 Integration Manager has great, out-of-the-box support for Microsoft BizTalk Server. Integration Manager replaces the need for costly and bad performing alternatives like BAM, SCOM and many other 3rd party products. The need to log events and messages flowing through the systems integration platform is ever growing and growing. This is due to systems integrations becoming more and more important for the business. Providing the business people with the data they need in order to innovate their business is crucial. Microsoft BizTalk Server is one integration platform for enterprise application integration (EAI) and business-to-business (B2B) integration. This blog post assumes you have basic knowledge in administering Microsoft BizTalk Server and Integration Manager, as well as a working instance of BizTalk and Integration Manager. 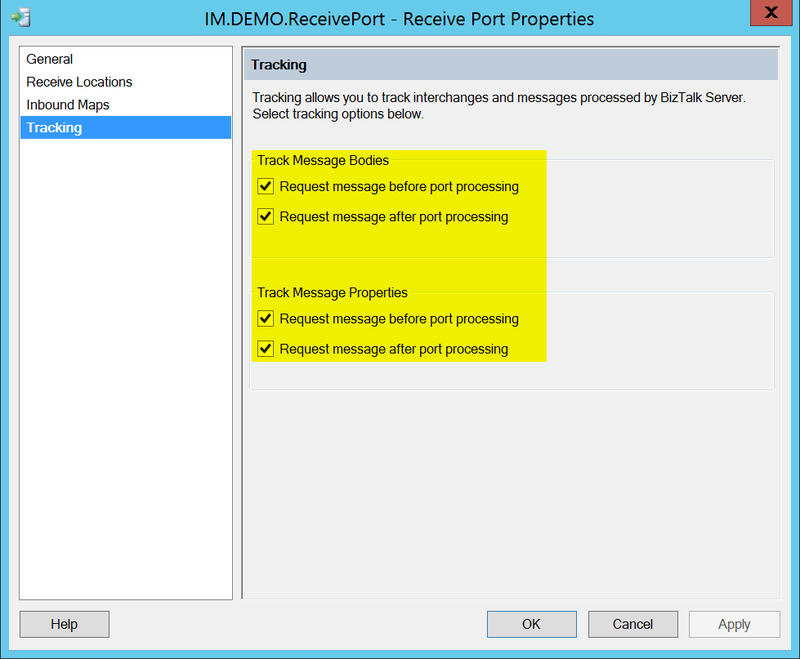 Simply enable tracking on receive and send ports within your applications in order for Integration Manager to log all the events/messages going through your Microsoft BizTalk Server. Integration Manager can also be used from within Orchestrations and pipeline stages. Thiscapability uses our LogAPI which we will cover in another blog post. The question we often get asked is how we affect existing BizTalk applications. The answer is – we don’t. 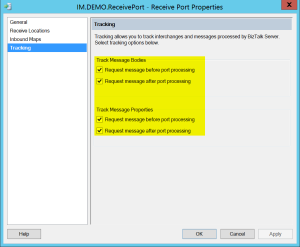 Integration Manager only requires BizTalk’s tracking to be enabled on ports of interest. No pipelines / pipeline Components required. 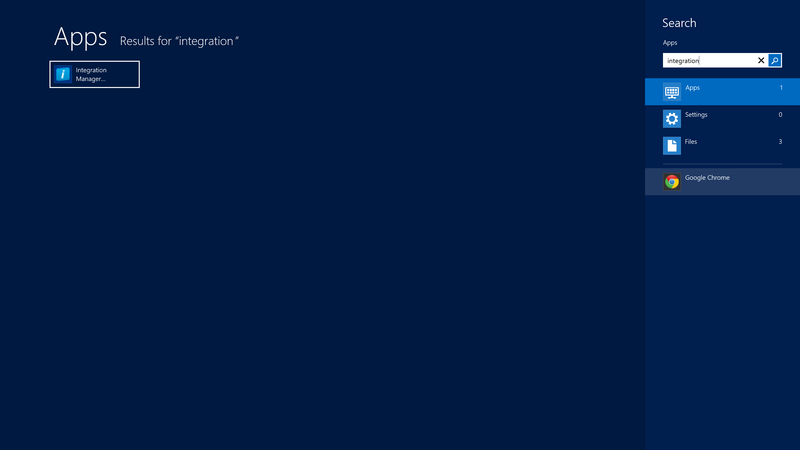 Integration Manager offers you a way to retrieve any kind (XML, EDI, CSV) of logged message content by using either the context values or the messages’ body (This will be covered in another blog post). Integration Manager’s logging service has a thread that copies data from Microsoft BizTalk Server’s tracking database (usually BizTalkDTADb). For Integration Manager to get the data from the database we need to enable the log feature in Integration Manager and provide it with the correct connection information to Microsoft BizTalk Server’s management and tracking database. 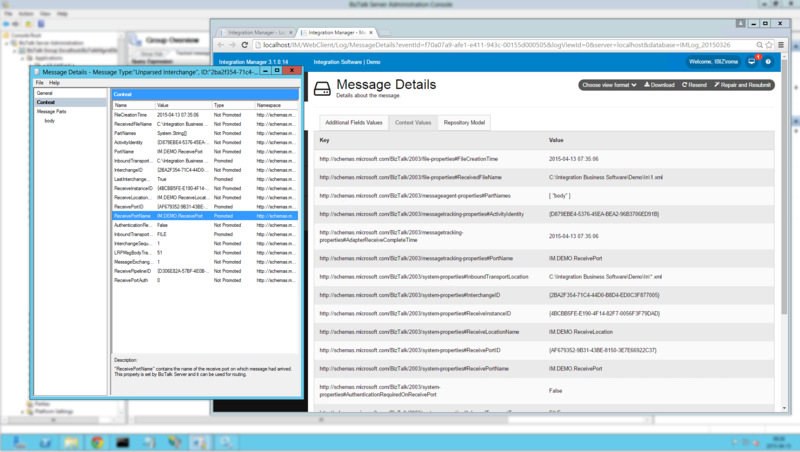 You can do this by opening up the configuration application (see screenshot 2 below), open the system settings (see screenshot 3) and check the checkbox saying “Copy messages from BizTalk (BizTalk Tracking Enabled)” and fill in the required connection information for both the management database (BizTalkMgmtDb) and tracking database (BizTalkDTADb) (see screenshot4). 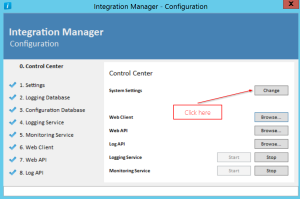 Finish by pressing the Save button and close the Integration Manager configuration application. Start the ‘IM Logging’ Windows Service. 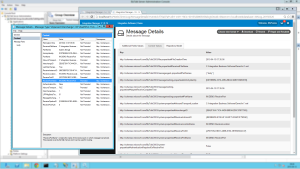 Use the admin-view in Integration Manager or create custom log views to search for any event/message logged via Microsoft BizTalk server. You get access to not only an event that indicates that something has been logged, you get also access to the message itself and the context values. Using Integration Manager to log & archive events/messages from Microsoft BizTalk Server is easy and gives you the control and insights you need in order to run your business – simply follow the simple steps explained above and you are good to go. By using Integration Manager and its job for copying events/messages from BizTalk’s tracking database you can keep the “Purge & archive” SQL job to save data for just 2 to 3 days, since the data is copied to the log databases of Integration Manager – keeping the performance affection low. No BAM activities – Integration Manager as already explained above, does not need any BAM activities. Integration Manager has ways of getting the values you are interested in by using the messages’ body or context values. The values can be retrieved from historic events/messages as well! (Will be covered in an upcoming blog post). Integration Manager has long time storage – Every transaction can be kept forever as long as you have the disk space. We will create new databases as we go to keep the system performant independent of the total amount of data being kept. There might be legal demands to keep for example outgoing invoices for 7 years – we can guarantee that for you. 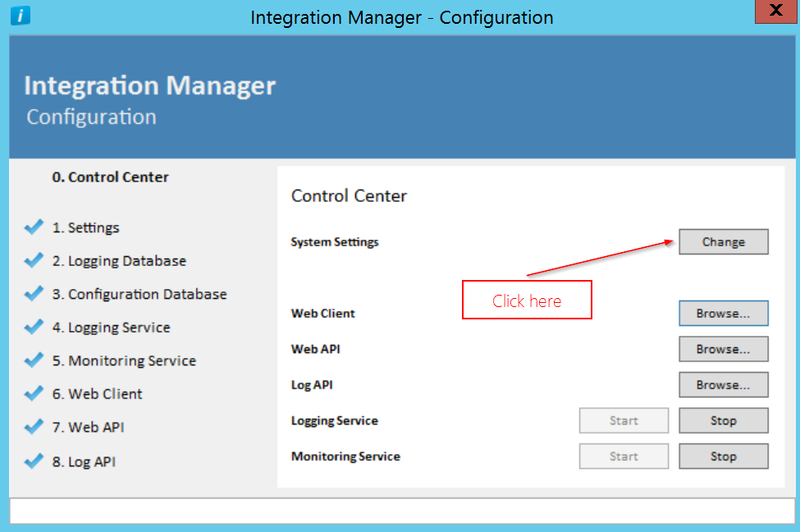 To read more about Integration Manager logging click here.